How to complete a Consent to Discharge application form (WO2)? How to complete a Consent to Discharge (W02 Form) in Northern Ireland. 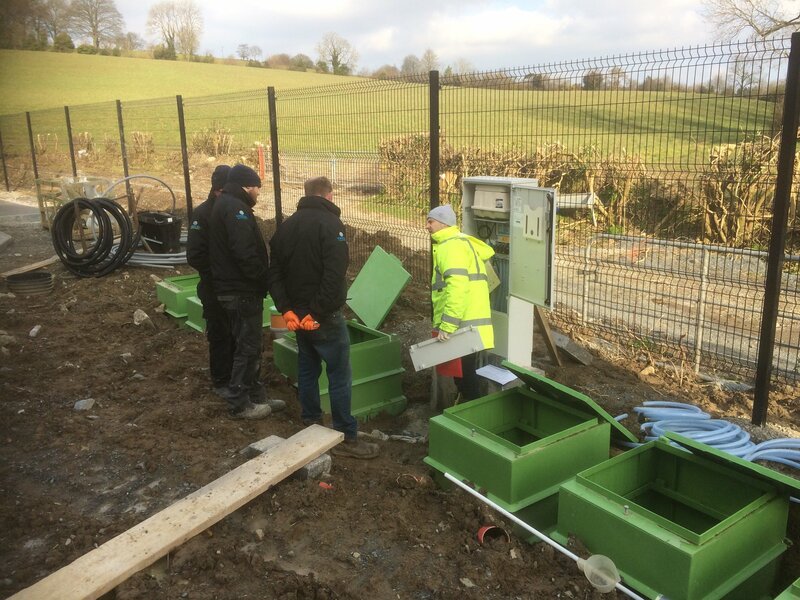 Since January 1st, 2015 it is mandatory to possess planning permission, building control approval and a consent to discharge form (W02) from the Northern Ireland Environmental Agency (NIEA) in order to install any new septic tank or sewage treatment plant. 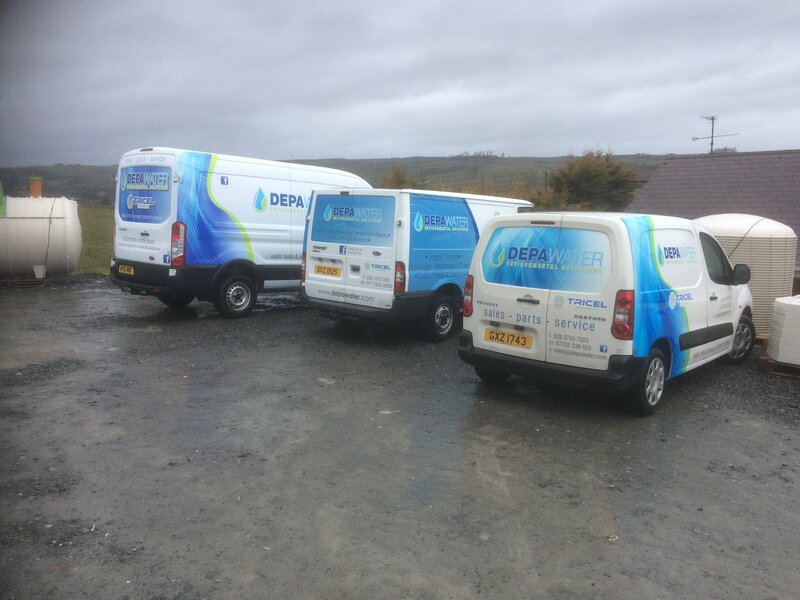 Note: If you have a septic tank or sewage tank which was installed prior to January 1st, 2015 you still require a consent to discharge form from the NIEA. Any septic tank discharging directly to a watercourse must be upgraded immediately. If not, the homeowner will face prosecution. See General Building Rules for Septic Tanks for more information. As the mandatory consent to discharge approval form is an important element of the planning permission process your architect may have already taken care of this. However, in case they have not, or you require help with the process, we are happy to assist. Are you discharging to a waterway or a soakaway? Before filling in the consent form, be aware of whether the discharge from your plant will be to a sub-surface irrigation system (soakaway) or waterway-based system. Understanding this piece of information is vital and will have a direct impact on the type of sewage treatment system which you can use. How to choose the most suitable type of sewage treatment system for you? This option is suited for installation with approximately 100 meters of drainage field to the underground soakaway. A percolation test and approval from the NIEA is required. This option is available for installation with approximately 80-100 square meters of drainage field to the underground soakaway. A percolation test and approval from the NIEA is required. This option is available where final effluent can be piped directly into a watercourse (open ditch, sheugh, stream or river) with approval from the NIEA. This option does not require a percolation test. If you are missing crucial information about your site to filling your Consent to Discharge form, we can help. Book a site visit and a percolation test to access your site conditions and receive bespoke recommendations. 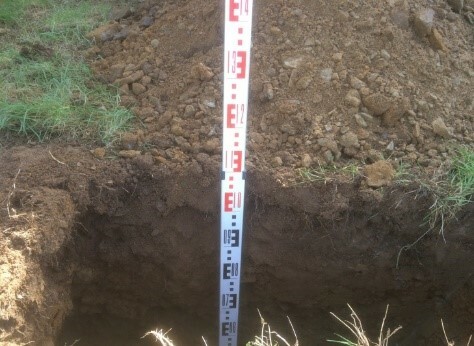 Find out more information about our Percolation Test Package. Visit the allocated GOV.UK webpage or visit daera-ni.gov.uk web page and download the required application form titled Application for consent to discharge sewage effluent from a single domestic dwelling. 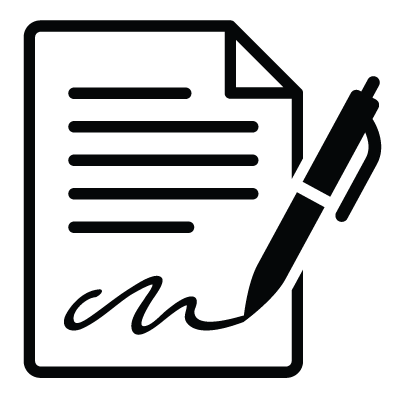 Prior to beginning the consent form fill process, it is vital to be aware if the discharge will be processed using sub-surface irrigation (soakway) OR a waterway. As was previously mentioned, this information will directly impact the type of sewage treatment system that can be used (septic tank or sewage treatment plant). More information can be found on this subject by following the link to the Department of Agricultural, Environment and Rural Affairs website. We will assist you whether you need more information about our products or our services. Contact us for percolation testing and correct sizing of septic tanks, sewage treatment tanks and percolation areas. 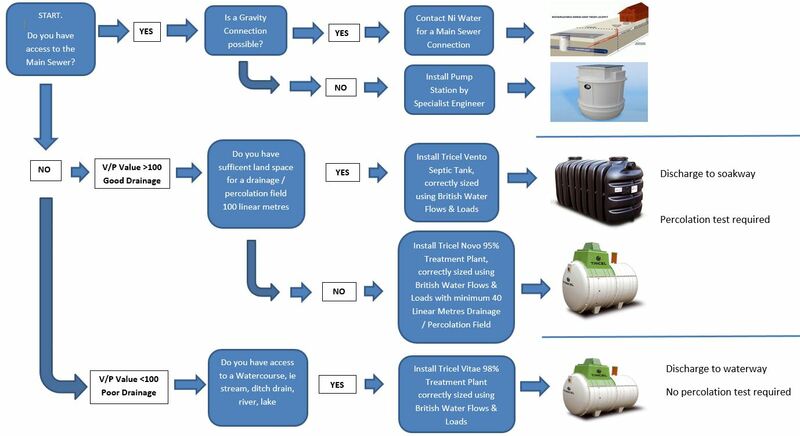 We will provide you with the solution correctly sized and site specific to your needs whilst also complying with the latest British standards for correct sizing and design of sewage treatment systems and drainage fields. We offer low cost managed service contracts tailored to your treatment systems requirements. Our qualified, British Water accredited service technicians will visit at pre-arranged intervals dependant upon the size and processing volume of your system. Most domestic systems require an annual visit whereas larger commercial systems may benefit from several visits per year as part of a preventative maintenance contract. In the event of a breakdown or component failure, we offer a callout service to fix the problem for you. Our callout vehicle carries a selection of spare parts for wastewater treatment systems and can deal with many issues on the same day.